Hey Victory Works, what happened to the regular Friday update last week? I'm pleased to say we were out taking a trip to the very pretty Swanage Railway. Partly for business and partly for pleasure. Truly amazing to see how the dedicated volunteers have spent years re-laying all of the track that BR tore up and they are now reconnected to the main line. This Friday we're off to our regular haunt, the Mid Hants Railway (Watercress Line) for their Autumn Gala, for much the same reasons. What can I see, we love steam trains! So we're doing a mid-week update in case you were wondering how the small prairies pack is coming along. 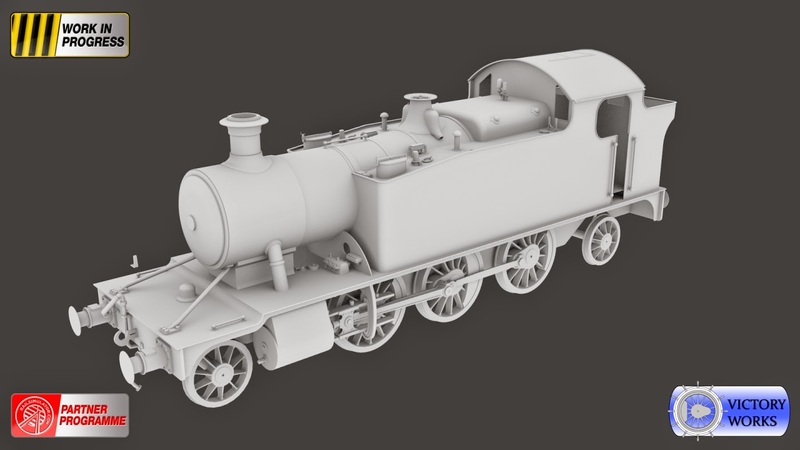 With some re-use of parts, and a lot of additional modelling around the main body we now have the 4500 class to show. The next step will be to tidy up both models and then to make a start on the cabs. First of all a huge thanks to everyone who's purchased the GWR Class 14XX Loco Add-On that was released yesterday and for all the really great feedback we've had about it - we really appreciate it. Also a thank you to those who replied to the route poll for the Small Prairies scenarios. The scenarios that accompany the add-on are limited to 1 route only (DTG's rules), otherwise we would have added a couple for each, so it was useful to see if people had a preference. Obviously we'll provide a ton of Quick Drives so you can easily run them on any route you want to and everything will be available for you to use to create your own scenarios. For anyone interested, the outcome of the poll was a dead heat between Falmouth and WSR which confirms our thoughts as well (although we do love Maerdy too!). All of the effort required recently in releasing the 14xx pack has been by DTG so we've been able to carry on with modelling the 4575 small prairie class and we're pleased to say to that the outer model is very nearly complete and covered in lots of rivets - and you know how much we love rivets! The Toad is a definite, I'm tired of using reskins of the default Rail Simulator brake van! Poll now closed! Thank you if you took part. 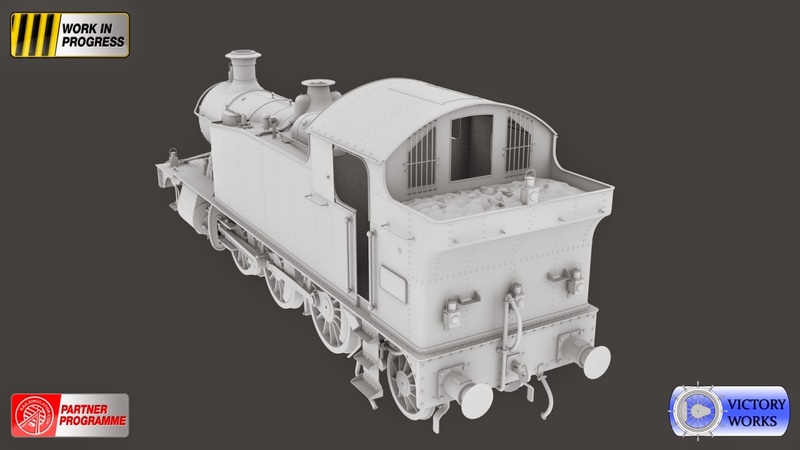 We've been modelling the 4575 class this week, getting some detail on the basic shell that we showed last week. Various component parts have been duplicated in varying states of completion so they can be reshaped for the 4500 and 4400 classes later on. Also the rods and visible valve gear have all been animated. Discussions continue on the best way to release everything but we want to provide all 3 classes of locomotive with all options and all liveries from the GWR, BR and preserved eras, as well as appropriate rolling stock. More WIP images and details to follow. PS I've been informed that the 14xx is "soon"!